I’m feeling a dummy at Madame Tussauds, the place is an utter freak show. I’m not talking about the waxworks inside, or the queue outside of thousand of thronging visitors lined up like dummies who haven’t booked online to visit more dummies inside. The freak show is the the lawless chaos that awaits inside Madame Tussauds and will make you give up any hope you had for humanity. When its time to mingle with the stars and a chance to instagram your celebrity obsessed lifestyle measured in likes from your feed, it would seem that human race breaks down. 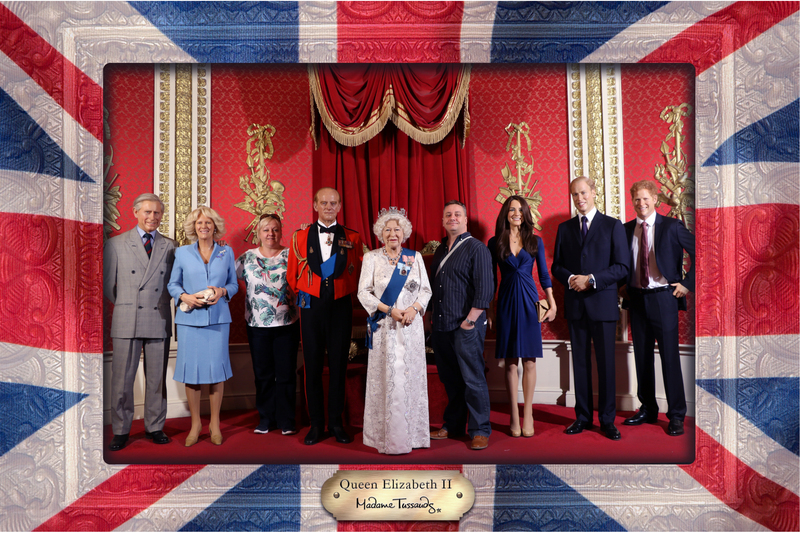 The key to Madame Tussauds is not caring that you will ruin anyone’s photo, trust me they will not care about yours. You will be shoved, pushed, harassed and harangued, there is no queue, only chaos. Some wax figures look awfully real and some just look awful. Helen Mirren looked fantastic, Hayden Chistensen looked as wooden as his acting, I mean, just watch any Star Wars film he’s been in, and compare that to his scene that is modelled here today. Ladies were lined up to drool all over George Clooney and I managed to get face to face with the Material Girl and her conical breasts, even pop princess Kylie Minogue didn’t complain when I got up close to her. I even touched Nicole Kidman’s bum. Unfortunately no Taylor Swift, I’d have tried to take her home with me. 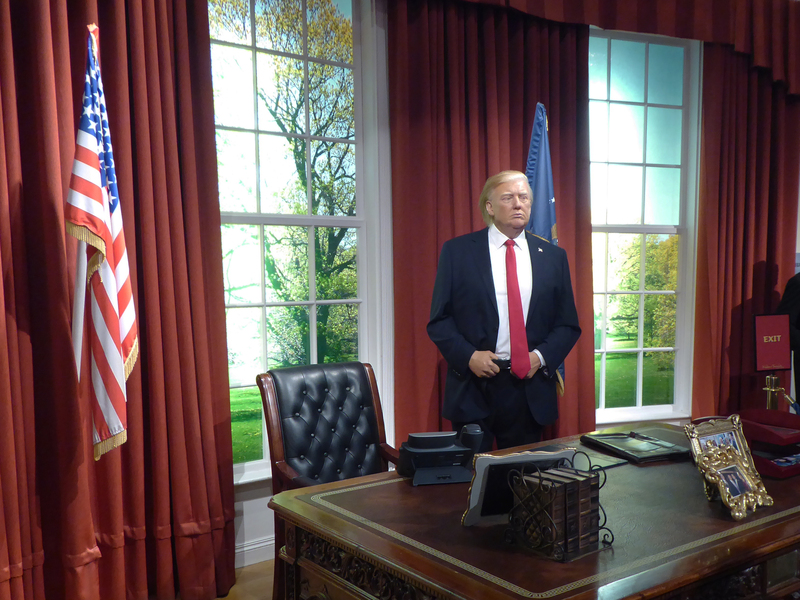 Madame Tussauads is organised into areas from Pop to Sports and World Leaders although describing Donald Trump and Boris Johnson as world leaders is stretching it a little. What does work well are the interactive displays. Have you photo taken with the Royal Family, Donald Trump in the Whitehouse, chastise Boris Johnson with a press briefing at Downing Street or have a wise word with Yoda in the Star Wars section. 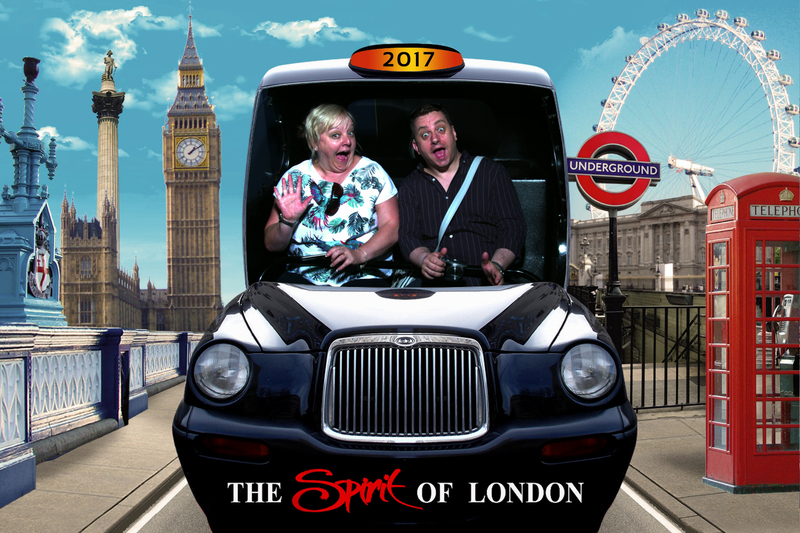 The Spirit of London taxi ride is interesting and a little longer than we expected but becomes obvious that Madame Tussauds has extended somewhat from my time as a child (quite some years ago) as the Marvel 4D experience takes place in what used to be the London Planetarium. This is great for kids who can feel a blast of cold air down the neck when Spiderman shoots his web or a poke in the back when Wolverine sharpens his nails. This could actually be Hayden Christensen with his wooden acting. In all, Madame Tussauds is crowded, sometimes creepy and sometimes cheery but certainly not cheap. Hate to think what the crowd would have been like if we had got there any later. It was pretty damn busy when we were inside at 9:30 in the morning. If you really do want to feel a dummy at Madame Tussauds, don’t get caught.